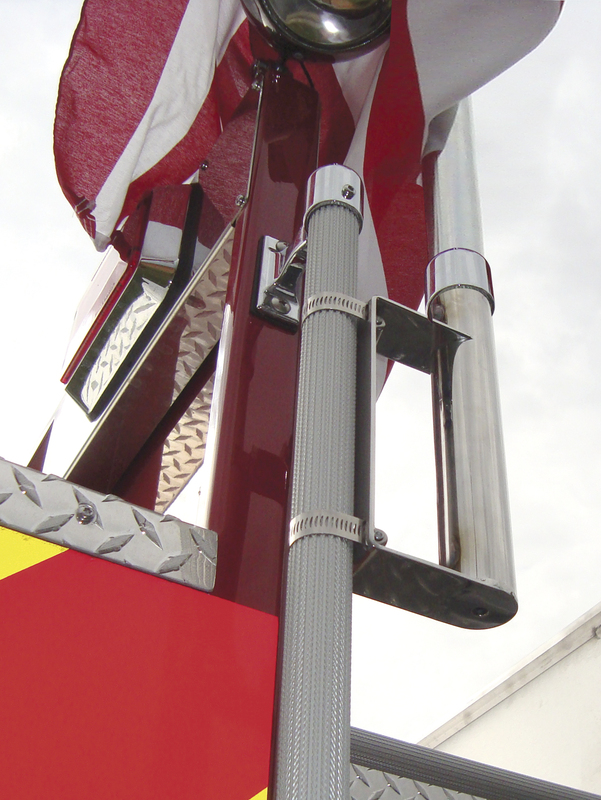 For years, Fire Departments, Tow Companies, Motor Home Owners, Pickup Truck and Specialty Vehicle owners have attempted to jerry-rig do-it-yourself flag pole holders to mount onto their vehicles, without much luck. The design team at RealWheels Corporation (RWC) in Gurnee, Illinois took this challenge seriously, and developed a Universal Vehicle Flag Pole System. Whether it's down the parade route or down the highway, drivers can be confident that the LIBERTY system will meet the rigors of the road. For years, Fire Departments, Tow Companies, Motor Home Owners, Pickup Truck and Specialty Vehicle owners have attempted to jerry-rig do-it-yourself flag pole holders to mount onto their vehicles, without much luck. Because until now no other flag pole manufacture has produced a flagpole designed to take on the rigorous demands put on a flagpole when mounted on a vehicle. The design team at RealWheels Corporation (RWC) in Gurnee, Illinois took this challenge seriously, and developed a Universal Vehicle Flag Pole System. The LIBERTY Vehicle Flag Pole System has been designed to exceed the demands required for vehicle placement. "We've tested the Liberty System extensively at speeds over 80mph," stated Jhan Dolphin, vice-president of RWC. "Whether it's down the parade route or down the highway, drivers can be confident that the LIBERTY system will meet the rigors of the road." Dolphin added. 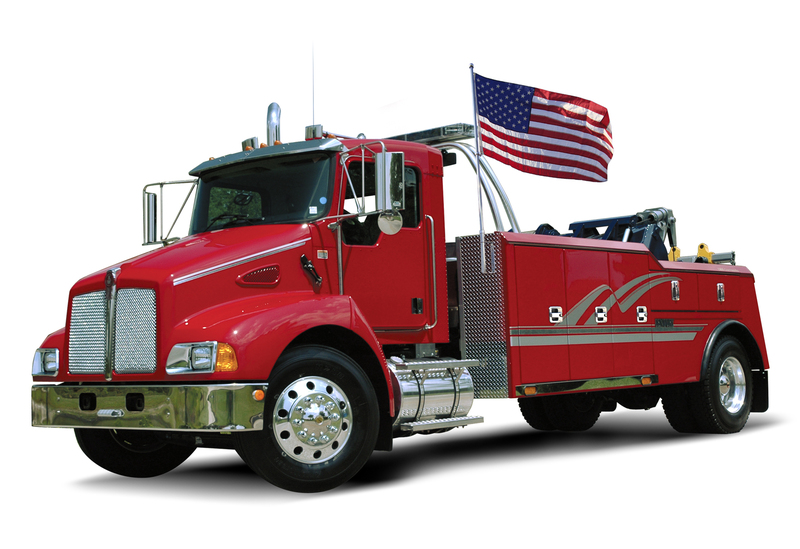 The American-made LIBERTY Kit was designed to properly match the quality and styling of the vehicles it is installed on, with attractive details and quality components. 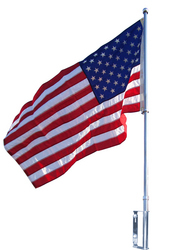 It adjusts up or down to accommodate flags from 2 to 4 feet high and also features a 360-degree rotation system that keeps your flag from ever wrapping the pole. The universal mounting socket receiver installs quickly and securely to a variety of vehicle locations at any desired angle, including vehicle grab handles. The 1" diameter flagpole, universal mounting socket receiver and 360-degree rotation system are manufactured from heavy gauge 304 stainless steel that has been polished to a mirror shine. All aluminum fittings have been hand polished, and then plated with RealGloss, an environmentally friendly and more durable alternative to chrome. The Liberty can be purchased with or without the heavy-duty double sewn polyester 3' x 5' American Flag. For more information about the LIBERTY Vehicle Flag Pole System and other RealWheels products, visit http://www.realwheels.com.